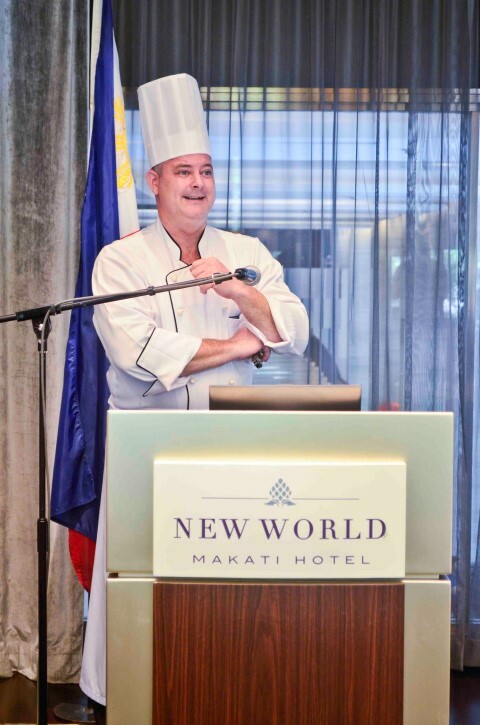 The chefs at New World Makati Hotel, in partnership with the Australian Trade Commission and the State Government of Victoria, Australia, share their expertise on high-quality meats, wines and cheeses through a hotel-wide Australian promotion from October 19 to November 8, 2015. Executive Chef Robert Davis and Guest Chef Tim Hollands kick off the promotion last October 1 with a curated wine and cheese pairing, followed by a presentation of the special menu items exclusively available during the three-week promotion. Savour Australia this coming October and visit Café 1228 to discover well-marbled premium grass fed O’Connor Premium Beef prepared into an array of carving selections on the buffet spread such as Whole Oven Roasted Prime Grass-Fed Beef Joints from Grippsland region of Victoria, Premium Ox Cube Roll, Premium Ox Chuck Short Rib, and Premium Tomahawk. Café 1228 serves up an array of international cuisines, traditional sides, desserts, as well as hot and cold beverage for Php1,999 per person for lunch and Php2,299 per person for brunch on weekends and dinner daily. In addition to Oriental cuisine prepared by Hong Kong Master Chef Wong Kam On, Jasmine restaurant highlights à la carte offerings of Australian beef creations such as Stir-Fried Diced Beef Tenderloin with Salt and Pepper, Beef Steak and Goose Liver Black Truffle Sauce, Chinese Steamed Beef Buns, Fried Tenderloin and Mango Signature Dish all offered for lunch and dinner. 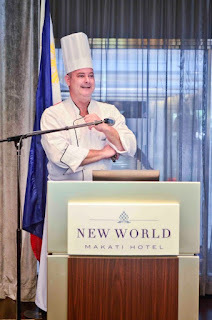 For an Australian-inspired barbecue experience, explore weekends at the poolside beginning October 9, 2015 with grilled seafood and meats for Php1,500 per person every Friday and Saturday at 6 p.m. Or, grilled snacks and skewers served a la carte every Sunday afternoon from 2 to 5 p.m.
As a special finale, New World Makati Hotel presents fine Jindi and Ashgrove cheeses from Victoria and Tasmania, and may be paired with De Bortoli DB Family Selection Wines at The Lounge. 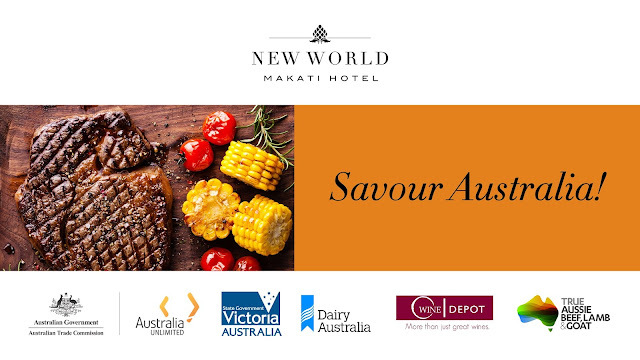 New World Makati Hotel’s Savour Australia promotion is available from October 19 to November 8, 2015. Rates include service charge. For more information, please contact the hotel directly at 811 6888 or visit www.newworldhotels.com.